Winner of the Man Booker Prize 2009 Shortlisted for the the Orange Prize 2009 Shortlisted for the Costa Novel Award 2009 `Dizzyingly, dazzlingly good' Daily Mail `Our most brilliant English writer' Guardian England, the 1520s. Henry VIII is on the throne, but has no heir. Cardinal Wolsey is his chief advisor, charged with securing the divorce the pope refuses to grant. Into this atmosphere of distrust and need comes Thomas Cromwell, first as Wolsey's clerk, and later his successor. Cromwell is a wholly original man: the son of a brutal blacksmith, a political genius, a briber, a charmer, a bully, a man with a delicate and deadly expertise in manipulating people and events. Ruthless in pursuit of his own interests, he is as ambitious in his wider politics as he is for himself. His reforming agenda is carried out in the grip of a self-interested parliament and a king who fluctuates between romantic passions and murderous rages. 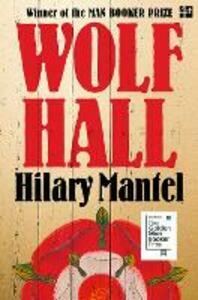 From one of our finest living writers, `Wolf Hall' is that very rare thing: a truly great English novel, one that explores the intersection of individual psychology and wider politics. With a vast array of characters, and richly overflowing with incident, it peels back history to show us Tudor England as a half-made society, moulding itself with great passion, suffering and courage.